( nr 349) - Have umbrella making industries invested in some research? ... . Blusts of rain and wind seem to target umbrellas or their percieved weakest spots. The Cabal surveilance contains sabotage and so-called strategy of tension, tension being psychological or mechanical. Yesterday, having this idea in mind, I tried to combine moving my umbrella and use hand to support what was the 'weaker' segment. It seemed to have helped a little. The paraphenalia of Orwellian high-tech on land includes multidude of screens, monitors, sensors - all part of routine gadgets, which do more than many people think. The feedback and ... self-learning (sorry for the sarcasm) IT/AI then swing into action. Money for flood defences? Star wars tech. can accidentally tamper with those barriers. Canadian airplane Boeing 777 flying from Shanghai to Toronto made an emergency landing near Calgary International Airport due to strong air turbulence. Passengers (21) got injuries. My daughter was in Calgary as a member of the Dutch team (St.Aloisius College in The Hague) for the STUDENT WORLD DEBATING Competition. She was briefly interviewed by Canadian TV or Radio. As part of the Cultural Programe youngsters were taken to a local attraction - Medicine Hat (or Hut?) - an Indian reservation/ Museum near Calgary. WHO is "Mrs. Williams" in Canada ...? As I wrote earlier, I consider those calls to my daughter and letters from my ex-husband as SUSPECT. The most interesting thing is it was ... RAPHAEL COHN who suggested that my daughter should search for Mr. Udom online. Some Coincidences : Diana's husband Van (Dutch roots) lived in Chelmsford in Essex, before moving up North, just like Raphael Cohn and his parents David and Elaine. "I have expressed my concerns in the past for the safety and wellbeing of my daughter and my granddaughters in earlier correspondence and online." By the way ! Who said to me not so long ago in a 'loaded' tone that "Chelmsford is a high-tech city ? (DC). There DC stands for David Cohn. I later discovered that MARCONI industries and some Star War scientists were there. 1. Roman Abramovich - art collector Dasha Zhukova - Eclipse mega-yacht - Jen Meyer, wife of actor Tobey Maguire. 2. 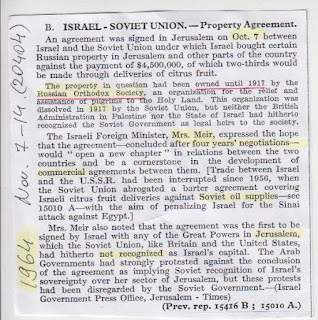 Israel - Soviet Union : 7 OCTOBER 1964 - property, owned before 1917 by Russian Orthodox Society ( ref. pilgrims to Holy Land ) sold by Soviet Union to Israel. 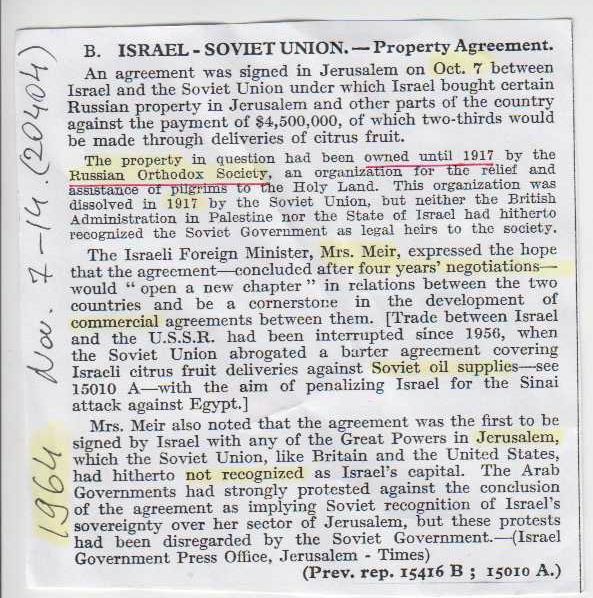 Soviet supplies of oil to Israel, oil drilling equipment and training of Israelis by the Soviets. 3. 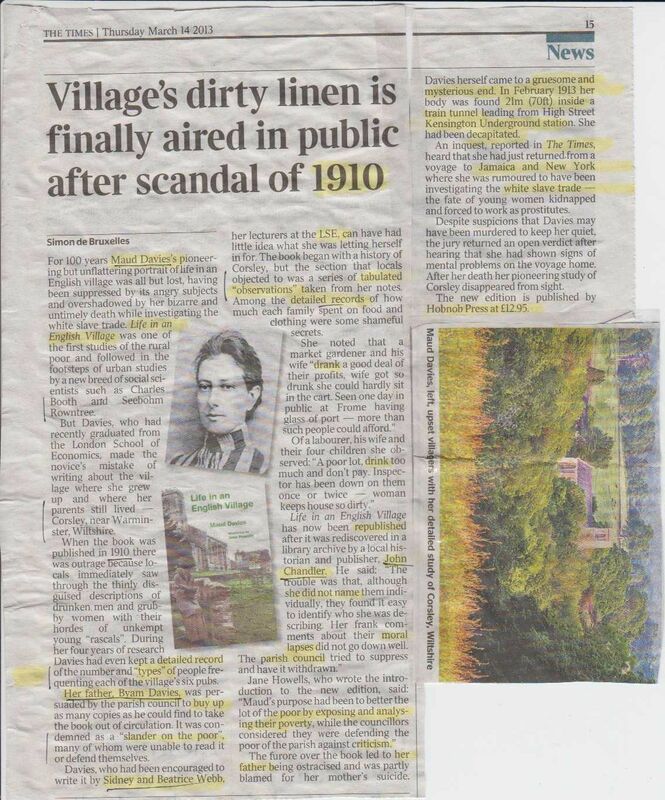 The Times: MAUD DAVIES, her "Life in an English Village" book republished by Hobnob Press. She did research in LSE encouraged by Sidney and Beatrice Webb. It was condemned as "slander of the poor". 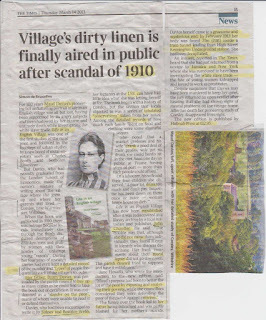 Maud Davies wanted to better the lot of the poor by exposing and analysing their povetry. Her father was ostracised, and partly blamed for her mother's suicide. In February 1913 her body was found 21 meters inside a train tunnel leading from High Street Kensington Underground station. She had been decapitated. She was just back from Jamaica and New York where she investigated the white slave trade. 4. Gobi China was the name of Shotokan Karate coach, who came to Unilag campus to run Karate Club for staff and students. Krishna monks were there as well, in their orange robes. 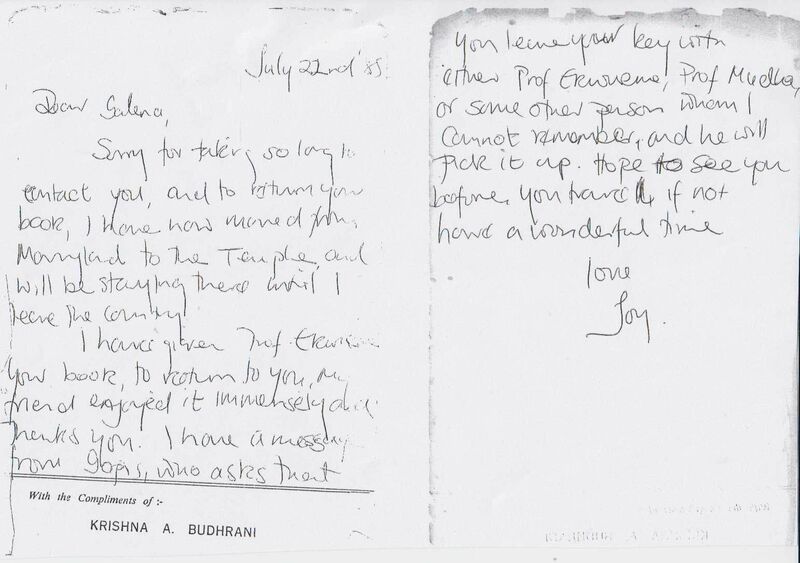 The letter dated 22 July 1985 names him as Gopis (?). I was about to go to CANADA to attend World Solar Energy Congress in MONTREAL. Odd exhibit there was a book "Light is a living spirit " by Omraam Mikhael Aivanhov (born in 1900 in Bulgaria). 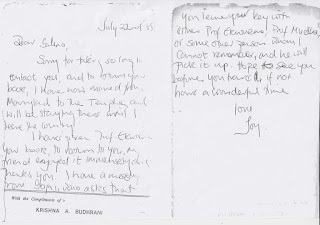 Scan of an interesting letter from British MP is on my other site. 5. 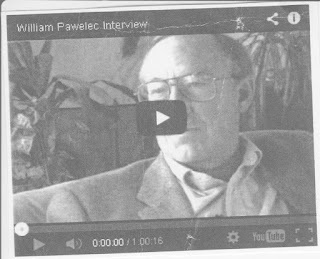 William Pawelec ( computer aviation expert ) says in his video that there are Four Factions between US and Soviets, but I did not hear them named in the video I watched. - just posted scan SIX, below William Pawelec. There was a strange 'forbidding' female face on the left side of monitor a minute ago. And a couple of days ago - a black square on the right side. Ancient Chinese (!) 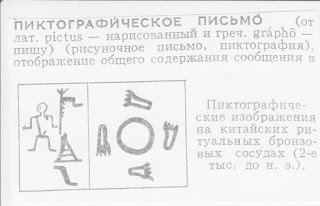 pictography from ritual bronze vessels (2 000 BC). Tuva Soviet Republic was originally in China. Krasnoyarsk krai (Gen. Lebed !) is nearby, surname of Russian Minister of Defence is SHOIGU, makes me think of SHOGUN - there was an epic film Shogun in the 1970s (?). 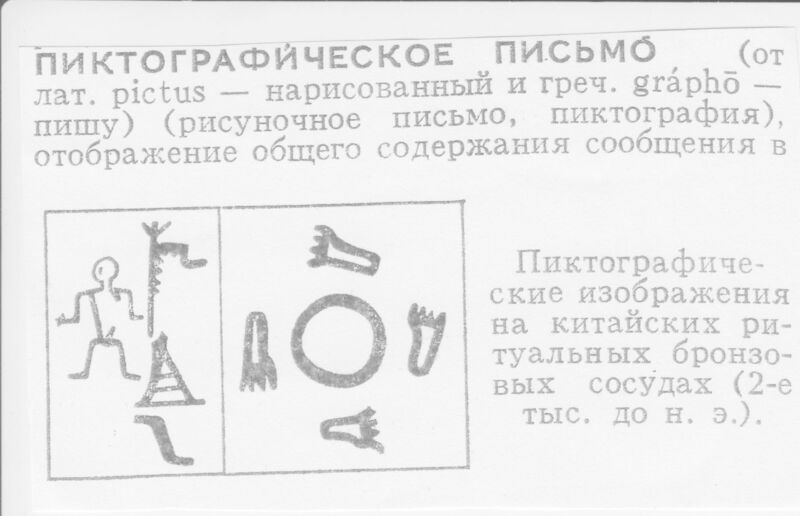 Page 1002 entry in the 1986 Soviet Encycl. Dictionary. The Times of March 14, 2013 features article about ALMA telescopes in CHILI. I remembered a color contrast on a map of Chili ( Pacific Coast ): combination of very high mountains and a very deep ocean basin. I know only one person from Chili - Mariam Diacartez (sp? ), who taught Spanish at International School Eerde to Carlos de Bourbon, the son of Princess Irene. He decided to drop Physics to my surprise, and his mother was not happy about it. I think he is now ... Hertzog of Parma (?). By the way, there was a very remarkable spiritual/moral aspect to Shotokan Karate, as was taught by Gobi China (he was from a neighbouring Francophone country), which was missing in some other types of martial arts and with some 'outsider' trainers. Purely physical, aggressive fighting is a world apart. [ Sat.9 Jan. 2016 ] - Yesterday in Portsmouth: clear and simplistic confirmation of Nat. Express involvement and the 'base' of the Raphael Cohn's lookalike/lookalikes. Israel Epstein and Chinese Proletarian Cultural Revolution ... .
Victoria Wang, cyber-crime specialist (?) was not in her office at St. George's Building and, as Dean Bradbourne(sp?) informed me, was away for the whole day. Carluccio's restaurant ( Gunwharf Quays, Portsmouth PO1 3 TZ) which I looked in again is very much the same inside, when a Chinese (modern) restaurant was there (before Pizzeria ... Fire Stone?). OLGA PATTA took me there (saying she knew the people) and, when I detected a very strong smell in a glass of water, she took it smelled it and ... promptly poured it into the sink behind (just a step distance). She favoured Chinese restaurant in Lagos as well. Is Triade Chinese mafia run by Communists ? Olga Patta sent her children for training to ISRAEL, said it was a "great honour". Slave shipping, banana/tea shipping ... .
FYFFE ... some ships carried only a handful of passengers . That reminds of what Gen. Pacepa wrote about Kennedy's assasination: Russian emigre (worked for several secret agencies?) George de MORENSCHILDT arranged for Lee Oswald to travel on a cargo ship, that could carry only a few passengers to Switzerland for a course, that Oswald would not have known about on his own. The was also ... Col. LYNCH (?) known for some cruel 'treatment' of captives or slaves. There is a Stone (remnant of) near St. Mary's Church, Alverstoke here in Gosport, which was used to chain 'captured' unwilling/unwitting navy recruits, who were picked up drunk from local pubs. They were chained (family would bring water/food) for some days, pending arrival of 'their' ship. Pubs were often built near Christian Churches, so as to divert/subvert church goers. Lee Oswald, by the way, was found to have travelled via Southampton, UK - a mystery. South African/UK (?) cargo ships transporting bananas of some special quality, not to be found in 'ordinary' shops or anywhere. 'Banana' (?) business sponsorship in Portsmouth. The Dutch Church in London is next to The Bank of England and Royal Bank of Scotland. New Forest, South Coast of England was at one time known for extensive contraband. [ Mon. 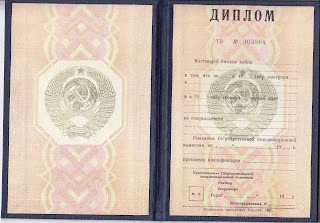 11Jan. 2016] - travelling to Skipton today by Nat. Express. ALAS ! Was late for the bus, which has never happened before. Bought new ticket for tomorrow, same time. instantly retorted: But it is not valid without a stamp! Anglican World Congress and an International Security Forum held today. Looking for a book I bought in Holland " Jews in Ancient China ". [ 14:20 ] - Anglican Conference UNDER-REPORTED. The African Diaspora Day in British Museum in 2010 was BOYCOTTED by British Africans and African Diaspora. SENTAMU as a Satanist. Same about Church of Tabernacle. Why did Sentamu and wife have to flee their country? ... .
Satanic Communist International ? The "touching" outrages are predated by many instances: gay men touching children in ...Dome ? Recent: a man with an ear-ring on Gosport Ferry has become notorious by standing in the way and touching passengers (supposed to be "help") - mostly women and children. Once I had to shout: Keep your hands OFF ! 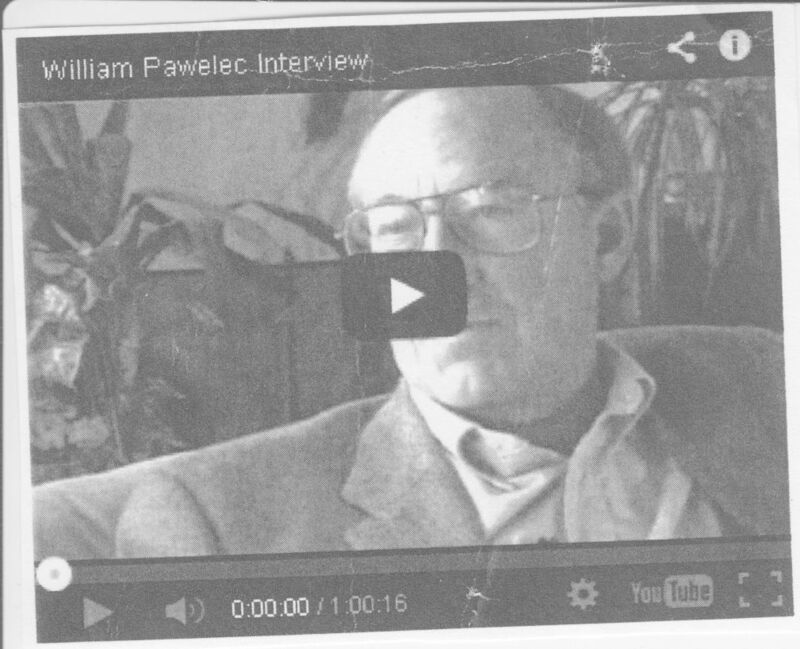 Some recordings of KGB men ( Russian spies in US ?) talking incl. their "task": how to get close. 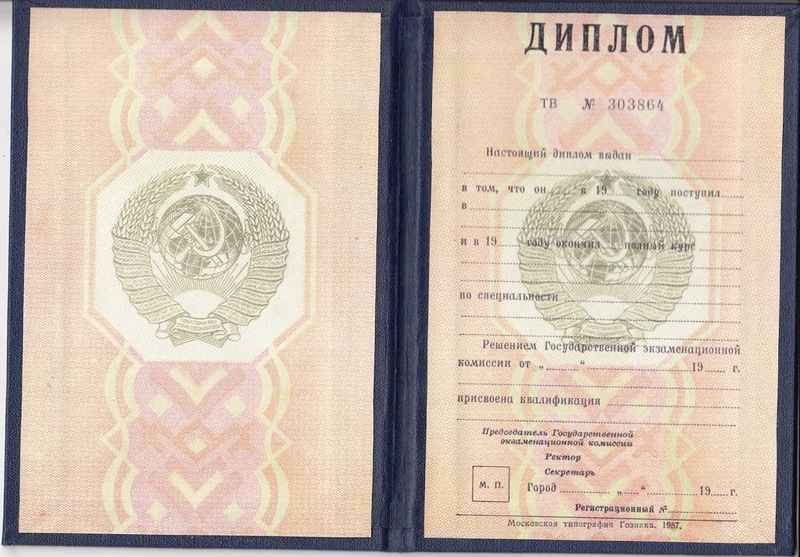 FALSE Dutch passports ( first high-tech version, secure) were out on the black market, before real passports were printed. I remember Ukraine and Georgia mentioned as culprits (companies/people).